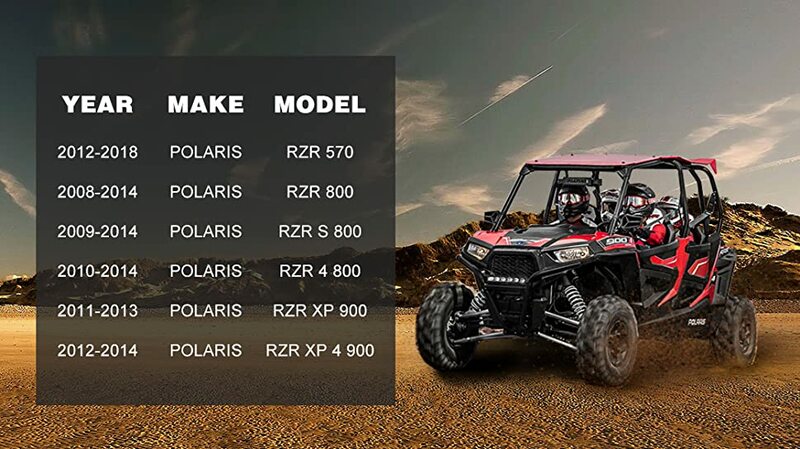 Polaris RZR UTV Full Windshield for 570,800,800 S,RZR 4,900 XP Clear – Penson & Co.
🚗 High quality windshield clip can be securely fastened to the windshield pre-drills; widened self-adhesive straps ensure simple installation & detachment; frameless design rubber pads on the windshield firmly connect the windshield clip. At 1/4" thick, this windshield is more robust and sturdy than other windshields in the market. Giving you full protection against wind, snow, rain, dust, insects, stones and other hazards that might obstruct you while you drive. The windshield fits the contour of the hood and there is a seal at the bottom to prevent damage to the paint. The windshield is very easy to install and requires no drilling or heavy lifting.